Saturn holds a very unique and interesting place in the list of celestial bodies. It is considered the watchman of our conscience. It is also called a serving & spiritual planet and is stated to move in a slow, thoughtful pace. Most significantly, Saturn is justice loving and is supposed to be a great judge in the Indian astrology. Many people share certain beliefs about Saturn which are not true. It is generally believed that Saturn brings hurdles and difficulties in the lives of people. But this is far from real. Saturn influences the lives of the individuals as per his/her karma (the good or bad actions). If the actions of the natives are meritorious, Saturn not merely gives them good results but also moves them on the path to Moksha (salvation). Saturn is really powerful. Do you want to know the impact of Saturn on your life? Buy Sade Sati Report and know everything about Saturn. The stern, punishing Saturn is always impartial and acts only based on the merits or demerits of the action. Natives can even acquire siddhis (spiritual powers) if the great judge Saturn is pleased with them. The grace of Saturn can help one eliminate problems, hurdles, obstruction, sorrows from his/her life. While on one hand, Saturn blesses good individuals and confers them happiness, fame, etc; on the other hand, Saturn is ruthless towards the wrong doers. Do you want to know how will Saturn treat you? Get Saturn Transit For All Areas Of Life Report and understand your life vis-a-vis Saturn. Saturn stays in a sign for two-and-half years. However, it also influences the preceding and succeeding Signs for the same duration (of two-and-half years). So, in all Saturn's Sade Sati influences a Sign for seven-and-half years. That is why it is referred to as Saturn's Sade Sati (seven-and-half). For example, if Saturn is in Sagittarius sign, then the preceding Sign Scorpio will be said to pass through the third (final) phase of Sade Sati, Sagittarius will be passing through the second phase while the succeeding sign Capricorn will be passing through the first phase of Saturn's Sade Sati. You are said to be under the influence of Saturn if this planet is in your birth horoscope Moon's twelfth, first or second house. As earlier stated, the Sade Sati is divided into three equal parts of two-and-half years each. Every native who experiences Saturn's Sade Sati has to pass through these three phases. The second phase is said to be the most testing for the individual. Usually, people are very scared and suspicious about Sade Sati. They fear it may bring in their lives many problems and hurdles. But it is important that during the Sade Sati duration, Saturn helps the people who are good. Saturn never brings obstructions in the lives of people who never cheat others, are always honest, humble and sincere. On the contrary, Saturn blesses the people who hold such a high character. Saturn has been in Sagittarius since January 26, 2017. This implies the first phase of Sade Sati for the natives of Capricorn sign as Saturn is in Moon's twelfth place as per the birth horoscope of Capricorn native. When Saturn traversed the Moon of Sagittarius sign, then it commenced the second phase of Sade Sati for the natives of Sagittarius sign. As for the natives of Scorpio sign, Saturn is in their Moon's second place, so this is the last phase of their Saturn Sade Sati. Saturn is in the fourth place of Virgo sign's Moon, so for Virgo natives are experiencing a minor influence of Saturn. Besides, Taurus natives too are passing through a minor influence of Sade Sati as Saturn is in the eighth place of their moon. Recite Shani Chalisa with full faith and devotion. Consume Urad dal every Saturday and fast for half day. If you feed Urad Jalebi or Kachori to a poor or a physically challenged person on this day, you can win the grace of Shanidev. Put on an iron ring in the middle finger. After taking advice from an astrologer, you can put on Nilam gemstone in a finger ring made of panchadhatu (five elements). This will increase the benefits of Saturn. 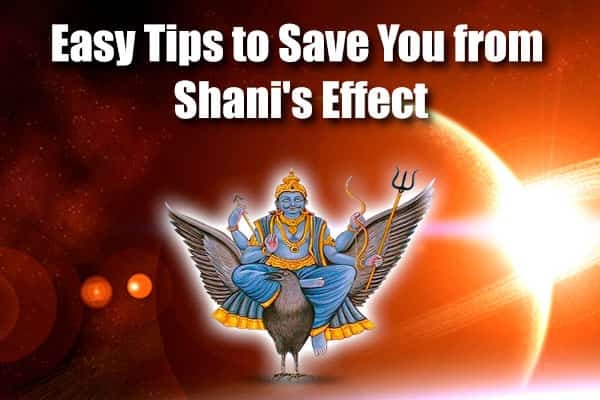 If you offer regular prayers to the Shani Yantra (Shani mystical diagram), you can win the race of Shanidev. If you give Urad Dal, black clothes in charity to a needy person on Saturday, Shanidev may get pleased with you. Before going to sleep at night, if you recite Hanuman Chalisa facing the northward direction, it can reduce the ill effect of Shanidev. Put Aak flower mala (garland) on the idol of Lord Hanuman every Saturday. Prepare black til laddoos on Saturdays and feed the small children with them. In order to pacify Shanidev, you can recite Sunderkand or Bajrang Ban. This will yield results. - Always face Northwards while praying. - Light a copper deepak after filling it with til or mustard (Sarson) oil. The grace of Shanidev can be acquired by adapting the methods mentioned in this article. Following these methods, one can conquer the problems and difficulties. If these methods are followed with full faith and devotion, then Shanidev will certainly be pleased and will lessen the difficulties being faced by the natives. Shanidev is just and kind hearted. He will protect his devotees from all sorrows and sufferings. If these methods are followed by those who are under the influence of Sade Sati, they will get the results. 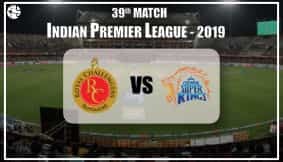 Besides, these methods will also be useful in the following situations: if Saturn is retrograde, lowly, is in conjunction with Mars, Rahu and Ketu. If you follow these methods, life's problems will get solved. Follow our methods and get free of problems. 3) How does Saturn influence your job and career preferences? Find out! 4) Should you be scared of Saturn?